Incremental convert to virtual machine recovers only changes that were backed up since the last machine update: Acronis Backup & Recovery 11 updates the virtual machine instead of recreating it. This can be used during automated conversion of an incremental or differential backup to a virtual machine on a virtualization server. To update the virtual machine, the software creates intermediate snapshots with names Backup.. and Replica... The latest Replica... snapshot corresponds to the latest conversion result and you can revert to this snapshot, if needed. Intermediate snapshots are cleaned up automatically. If intermediate snapshots are deleted manually, it is impossible to update the virtual machine and the machine be recreated entirely instead. (!) Incremental conversion to virtual machine can only be performed by the virtualization server. 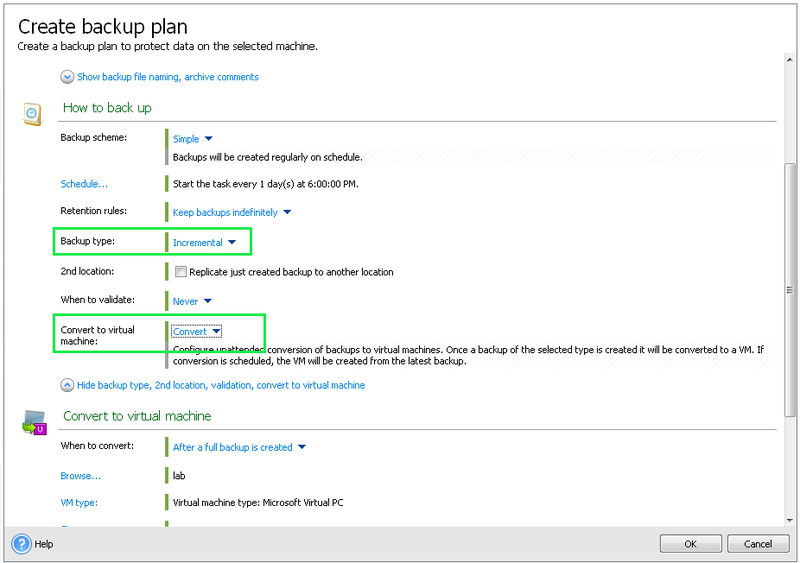 If you select to save the virtual machine files instead, virtual machine will be recreated on every conversion. In Storage select the storage on the virtualization server. 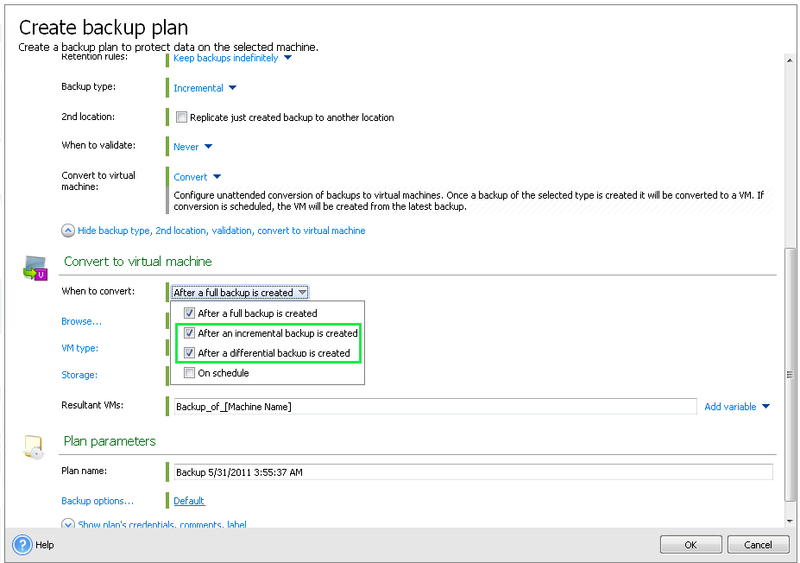 If necessary, specify the virtual machine name in Resultant VMs. If an incremental or differential backup was created after the last conversion, the existing virtual machine is updated with changes. (!) Incremental conversion works only if the target virtual machine is turned off. If target machine is turned on, incremental conversion will fail.